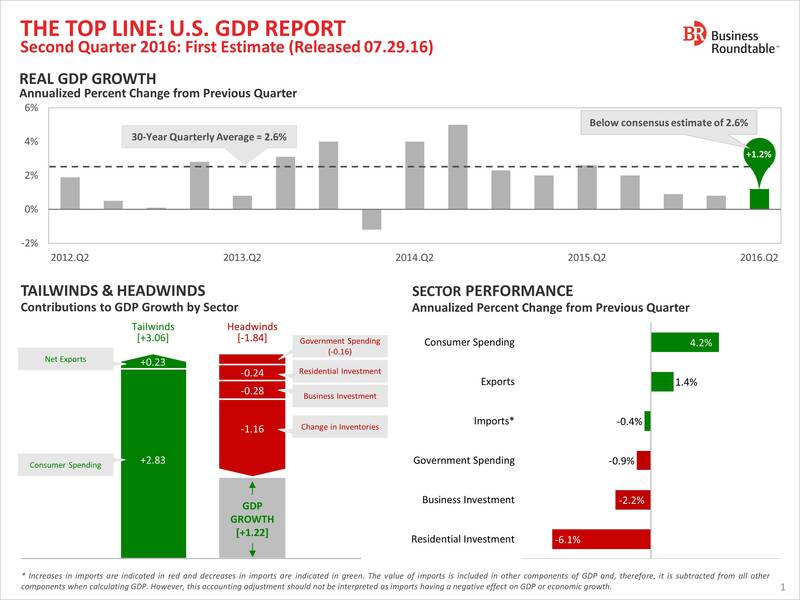 The U.S. economy expanded by just 1.2 percent in Q2 2016 after growing by 0.8 percent (revised) in Q1, according to the advance estimate released today by the Bureau of Economic Analysis. The figure came in much below the 2.6 percent GDP growth anticipated by economists. 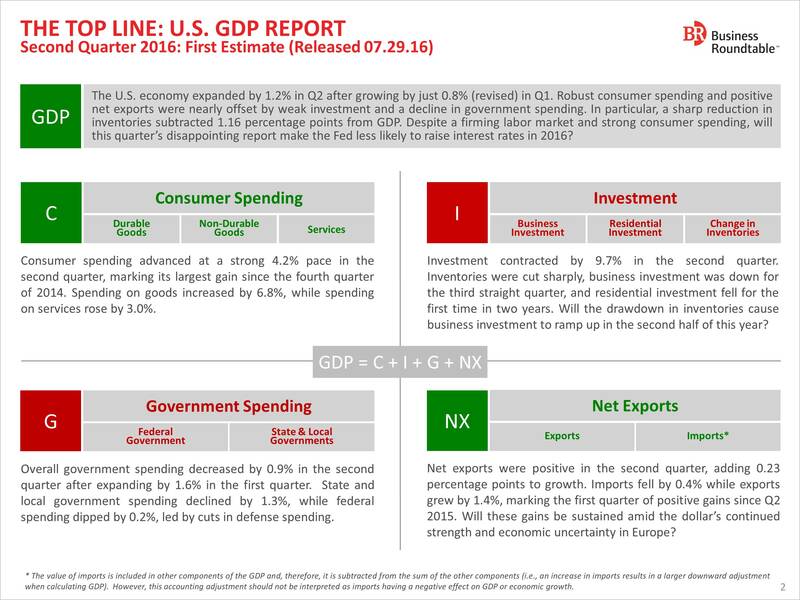 Robust consumer spending and positive net exports were nearly offset by weak investment and a decline in government spending. In particular, a sharp reduction in inventories subtracted 1.16 percentage points from GDP. Despite a firming labor market and strong consumer spending, this quarter’s disappointing report could make the Fed less likely to raise interest rates in 2016. For more analysis, see The Top Line below and online here.